Find the schedule for Benefits Orientation and information on who should attend. Benefits orientation is provided on designated Mondays each month from 10:30 a.m. to 12:30 p.m. to inform eligible faculty and staff about university health, welfare and retirement plans. New employees or those newly eligible for benefits should attend within their Period of Initial Eligibility (PIE). You will learn about the university's health plans, disability, life & accident insurance, other UC benefits programs, retirement benefits, and receive answers to questions you may have about UC benefits. Be sure to attend within your PIE, or 31 days from the date of hire or transfer to a benefits-eligible position, to enroll in benefits. Benefits Orientation will be inside the Housing, Dining, Hospitality (HDH) Human Resources Conference room inside the Eucalyptus Point building (Building 391). For questions regarding location, contact HDH at 858-534-2193. 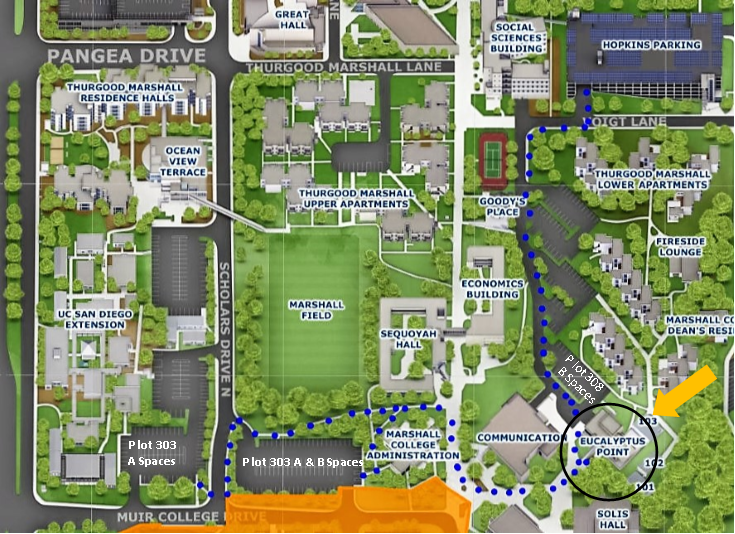 UC San Diego A and B or M permits are valid in all lots surrounding Eucalyptus Point. Attendees are encouraged to use the campus shuttles. The West Campus Connector stops at Marshall College. Check the live shuttle schedule to determine which shuttle will get you to orientation on time. Below are the remaining dates for 2018. Below are the dates for 2019.